Christmas is less than two weeks away! I feel like we were just talking about Thanksgiving. I dropped the last of my gifts to mail off at the post office yesterday; leaving just my work Secret Santa left to buy for. The deadline for most stores to guarantee shipping by Christmas without the ridiculous overnight prices is this week so if you want to skip the in-store madness you need to get a move on. I've rounded up a few of my top picks, at varying price points, that you can still get in time! Really running short on time? 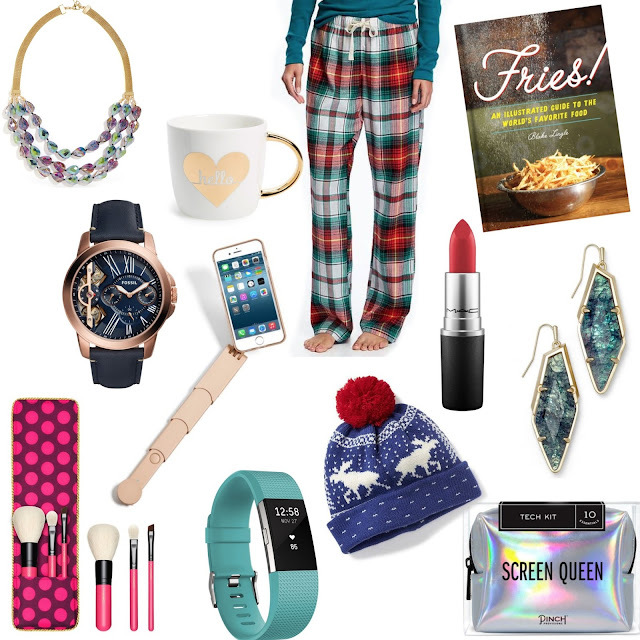 In one Target run you can make a movie night basket; wrap up a Christmas favorite or new release, a couple of cute mugs for hot chocolate, and a box of popcorn. Or whip up a batch of cookies (easy recipes here, here, and here) pack them in a cute tin and you've got a great, homemade with love, gift.